"Ladies' Man - And Lady Killer!" 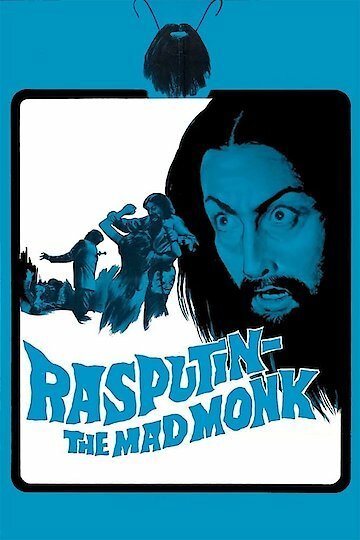 Rasputin, the Mad Monk is historical fiction, loosely based on the life and assassination of Grigori Rasputin (played by Christopher Lee). The film is 91 minutes long. Rasputin seduces women and abandons them. He seduces and hypnotizes one of the tsarina's ladies-in-waiting, to give him access to the imperial court. He convinces the Empress Alexandra that only he, with his magic, can heal the heir to the throne. His rude and lewd conduct bring him many enemies, who seek to avenge the honor of the women he's insulted.